Anthony helps leaders lead. He is a CEO, entrepreneur, thought leader, philosopher and author who has made a life out of questions. As a mentor and coach he helps leaders navigate complex, demanding environments so they can perform and lead at their best. People call him the ‘CEO Whisperer.’ He is a confidant to senior leaders in large publicly traded companies across four continents and almost every sector of industry. Anthony has been privileged to spend time capturing insights from people who shape and influence history and applying those insights with leaders at the strategic apex of organisations. During a 15 year global dialogue he has spoken to hundreds of influencers from the business, academic, military and social sectors. A constant theme is a concern about the quality of leadership for the 21st century. This was the impetus for his book: Humanise. Why Human-Centred Leadership is the Key to the 21st Century. He writes and speaks extensively on leadership. He is guest lecturer at the School of Business (Sydney), The University of Notre Dame Australia, where he is completing a PhD researching leadership. He speaks on radio, at conferences and in boardrooms. He has been quoted in a wide range of business media, writes for the popular press and has been published in academic journals. Bharti is a deep thinker and observant global citizen with several years’ experience as a lawyer in the capital markets team at Linklaters, based in the London and Singapore offices. During her time as a lawyer she advised some of the world’s leading corporate and financial institutions on debt and equity financing, where she acted for both issuers and underwriters on a range of deals and transactions across a number of different jurisdictions. Bharti’s experience in the legal world provided deep insight into the emerging 21st century challenges facing organisations and leaders, and fostered a desire to improve the quality of leadership in order to build a better world. Bharti led the board of directors of ActivateUTS for four years as president and vice-president and represented Australia internationally at The Hague International Model United Nations in the Netherlands. She also represented Australia at international debating competitions in Ireland and Malaysia and is currently a member of the Business Advisory Council of the International Centre for Democratic Partnerships. Andrew is an experienced business executive, commercially astute and highly skilled at operating successfully in regulated environments. After a long career at Westpac, he has recently built a portfolio of non-executive, mentoring and advisory roles in the “for profit” and “not for profit” sectors, and is engaged in the start-up community, where his experience adds considerable value to founders. Among other roles, he is currently Chairman of Westpac Bank (PNG) Limited, Non-executive director of the Human Rights Law Centre and Chair of the Business Advisory Council of the International Centre for Democratic Partnerships. At Westpac, Andrew spent most of the last decade in senior risk roles, as the Acting Group Chief Risk Officer for 18 months during the GFC and then 7 years as the Chief Risk Officer for the Westpac Institutional Bank. Before his focus on pure risk roles, Andrew practised corporate law in the public and private sector and held a number of senior legal and operational roles in Westpac. Andrew is inquisitive and passionate, highly motivated by ideas, strategy, politics, technology and the key role that leadership must play in an exciting but uncertain future. He actively works to ensure that there are as few boundaries as possible between his many interests, that each interest informs the others for the benefit of all of them. 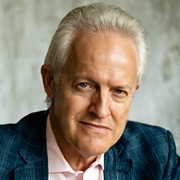 Andrew holds degrees in Law and Commerce from the University of New South Wales and is a graduate of the Australian Institute of Company of Directors. Jane has more than 25 years business leadership experience, predominantly in financial services. Most recently, she was Chief Executive Officer, Qantas Super and was previously Chief Executive Officer of J.P. Morgan Treasury and Securities Services Australia and New Zealand. In March 2011 Jane was recognised as the Custodian Banker of the Year in the Asset Asian Awards and in November 2010, she was inducted into the YWCA’s Academy of Women Leaders in New York. In 2016, she was appointed as a director of the Westpac BT Financial Group Superannuation Boards and serves on the Investment Committee and the Audit, Risk and Compliance Committee. She is also a director of the Sydney Financial Forum and was appointed as independent Chair of the Fund Executives Association Limited (FEAL) board in August 2016 – where she chairs the Remuneration Committee and serves on the Finance Committee. Previously, Jane has held board positions with: the Association of Superannuation Funds of Australia (ASFA) where she chaired the Policy and Nominations Committees; the Salvation Army Advisory Boards where she chaired the HR and Risk and Compliance Committees; the Victorian Arts Centre Trust; the Australian Brandenburg Orchestra; J.P. Morgan Nominees; the National Mutual Staff Superannuation Plan; National Mutual Superannuation Pty Ltd; and AXA Business Services (India). Jane holds Bachelor of Arts and Bachelor of Science degrees from Macquarie University, Sydney, as well as a Diploma of Education. Peter Murphy has 24 years’ experience in undertaking Board, C-Suite and Executive recruitment assignments. These have been for ASX listed and privately-owned corporations, government departments and owned corporations, and small to medium sized enterprises across Australia with a micro specialisation in finance or executive roles. Peter was most recently a General Manager of QLD Executive and Boards, owner and director of Davidson (one of Australia’s leading providers of recruitment and human resource services). Peter also held the role as Chair of the Edmund Rice Foundation Australia, is a Fellow of Chartered Accountants, Australia and New Zealand and sat on various committees in Queensland culminating in becoming the State Chair in 2005. Peter is also currently a member of the QUT Business School of Accounting advisory committee and has also been involved in committees for sporting bodies and not for profits. Peter holds a degree of Bachelor of Commerce from the University of Queensland and is a member of the Institute of Company Directors. So-Young is Catalyst & Founder of multi-disciplinary Transformation Design (TD) firm Awaken Group that focuses on aligning people to strategy through taking organisations on a transformational journey to drive innovation and creativity. Pioneer of practice of Transformation Design (TD) globally. TD is the application of Design Thinking into larger purpose and values-driven transformations across companies, governments, and nations. So-Young is an expert in experience design and one of the original Design Thinking facilitators since 2010. She has led multiple projects on values-based organisational design, customer experience design, service engagement strategy, process design, and space/messages globally for MNCs, SMEs and governments. An expert in ‘human’ needs, organisational design, strategy and innovation, So-Young has served more than 30 clients (government, MNC, SME) in Singapore alone in the past 3 years requiring deep understanding of user needs and motivations to design innovative solutions and drive organisational change. She has ~20 years of experience advising business and government leaders globally for companies such as Microsoft, IMD, Seagate, Khazanah, SingTel and Housing Development Board. In 2014, she was selected by the World Economic Forum to be a Young Global Leader. Previously, she was a Senior Engagement Manager with McKinsey & Company and was formerly Assistant Vice President at Citigroup (one of youngest in her batch). So-Young has an MBA from Harvard Business School and a BA with honors from the University of Pennsylvania. Peter has been a company director for more than 10 years and has held positions on both ASX listed and private companies. His current roles include being a Non Executive Director of Transurban Group and a Director of O’Connell Street Associates. In the philanthropy sector Peter has been working with Igniting Change for over ten years and is currently Chairman. He is also a member of the Prime Minister’s Community Business Partnership. Peter was appointed as a Fellow of the Senate of the University of Sydney in August 2016. In his executive career Peter spent more than 15 years with Lend Lease Corporation and was the CEO of Civil & Civic and CEO of MLC. In 2000 following the purchase of MLC by the NAB, he was a member of the Senior Executive Group of the bank. Prior to joining Lend Lease, Peter had a career in consulting engineering both within Australia and overseas. Rebecca is an internationally experienced business leader. She is Chairman of Oz Minerals Ltd (ASX), Investa Office Management Pty Ltd and Scania Australia. Rebecca is also Non-Executive Director of ASX listed companies: Incitec Pivot Ltd and Goodman Group. She is a member of the Advisory Council for JP Morgan in Australia. 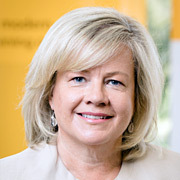 Since 2016, Rebecca has been a member of the Victorian Council of the Australian Institute of Company Directors; and is involved with several-not-for-profit organisations: she is Chairman of Kilfinan Australia and recently retired as Chairman of Project New Dawn Ltd (a homelessness/unemployment initiative). She is a member of Chief Executive Women and is an ambassador for the National Association of Women in Operations. Prior to her non-executive career, Rebecca spent more than 23 years as an executive in the oil industry. She held business line and functional leadership roles with BP in Australasia, Europe and the United Kingdom. Her most recent two positions were: Executive Director & Vice President - Operations Australia & Pacific, and Chief Financial Officer - Australasia. Rebecca holds the degrees of Bachelor of Town Planning (Hons.) & Master of Applied Science (Project Management). She has attended executive management programmes at Harvard Business School, Cambridge University and MIT in Boston. She is a Fellow of the Australian Institute of Company Directors and was recognised as one of the AFR/Westpac “Australian 100 Women of Influence” in 2014. Bronek has led companies, businesses and management teams. He has managed across international boundaries; started new country operations and has a deep understanding of managing diverse cultures in complex regulatory regimes. He has developed and implemented strategic market plans in various industries. He is a proven change manager who has successfully led company re-organisation, profit improvement and business integration projects. Through a long career he established a reputation for developing strong and motivated management teams and businesses that once organised continued on a path of success. Member of Orica Limited Executive Management team. 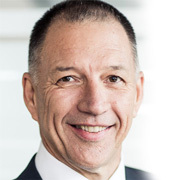 Group GM (CEO) of the Orica Chemnet Group, the largest distributor and trader of chemicals and related services in Australia, NZ, Asia and Latin America. GM of Orica Mining Services Australia/Asia. Managing Director of ERS Limited (an ASX listed industrial company that operated in Australia, NZ and Asia). CEO and Director of the Castrol Limited Industrial business in Australia, NZ, Asia and Southern Africa. The combination of a strong educational base, with multiple degrees, and solid business experience with several international companies operating in challenging and varied environments, provides an exceptional skill set to support and work with the most senior business leaders.